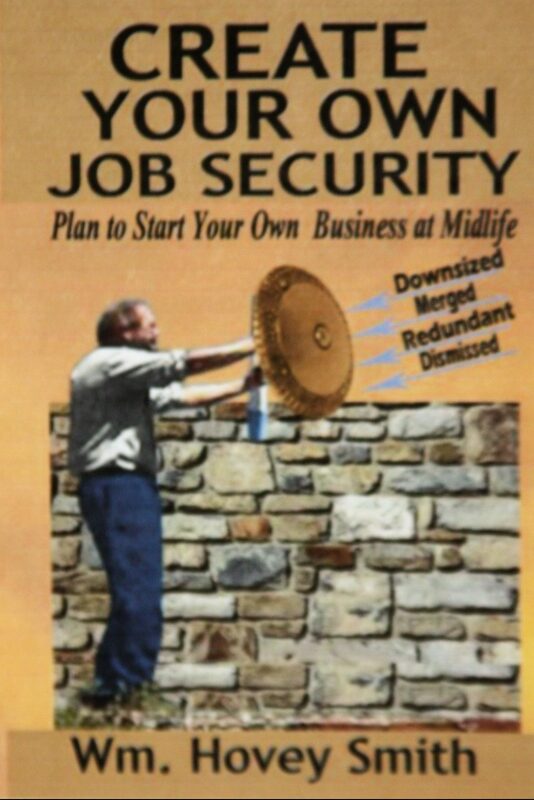 Create Your Own Job Security encourages everyone to conceive of and initiate a series of businesses throughout one’s working life to generate immediate cash as might be needed and develop a business that you would do even if no one paid you to provide for your family’s security when it may be needed. The book offers concrete steps on how to conceive of new business opportunities, how to rank them, and how to develop and launch a business that will fit your present financial goals, physical abilities, and interests to insure your and your family’s financial success throughout your life. This booklet is designed to help you generate ideas for your own business ventures by providing a systematic means of examining your life and interest and selecting short, medium and long term business opportunities that fit your present financial needs, interests and abilities. Because your ideas are recorded on paper, they are never on any electronic instrument that belongs to a company and are exclusively yours to developed over the months and years as you travel. Electronic downloads of this booklet are available free to Amazon Prime subscribers, and softcover copies may also be obtained at Amazon.com or by placing an order using the PayPal button below. This booklet is designed to be used to help you develop and record business concepts in a physical form as you travel to Europe, Asia and Africa. In 2012 I was doing my podcast radio show, “Hovey’s Outdoor Adventures,” and conceived of an episode where I walked around the town square in Sandersville, Georgia, and recorded an oral history. I was prompted to do this because I came to the realization that a community’s oral history is largely lost in three generations. While what I had personally experienced was still fresh in my mind, the stories told to me by my living relatives were many fewer and the stories related to them by older generations were very few indeed. Although I will admit that it was something of a strange sight for an older guy to be walking around the in the middle of the night talking loudly to himself, my 2:00 AM recording session was useful because of the general lack of street noise. I started at the corner where my grandparent’s house once stood before it was moved in order to build a new post office during the depression. As a child the pink Georgia marble used in that structure always impressed me and partly prompted me to become a Geologist. That house witnessed Gen. W.T. Sherman’s army coming into the town and the resistance offered by Confederate General Wheeler’s few troops who were facing an army of some 35,000 men converging on the town from two different directions. A skirmish was fought among the gravestones surrounding the Methodist church and around the courthouse. The courthouse and most of the commercial buildings around the square were burned, but my family’s home was spared because it was used to billet Union officers. Some interesting natural events also occurred, as when a sinkhole opened up one night in the barn and two mules fell in. Unfortunately one of them broke a leg and could not be recovered. There was also an entrance to a small cave under one of the buildings. The square also saw ice skating on a frozen sheet of ice under the town’s water tower after it had frozen to the point of overflowing. An array of business had been located in the store fronts around the square including bars prior to prohibition and grocery, variety and drug stores along with professional offices for lawyers, doctors and dentists. The Rawlings Sanitarium anchored one corner of the square which provided regional medical care. This was the place where I was born, after being delivered by my uncle. On Saturdays the stores were open until midnight and the streets were so thronged with people that you could hardly elbow your way up the sidewalk. In sharp contrast today the town looks practically abandoned with only a few people being seen going from their cars to local eateries, banks or businesses at any given time. These observations and many more are recorded on the 30-minute CD, “My Home Town.” If you are interested in how a small southern town evolved, the diverse population it attracted and how it coped with dramatic social events you can purchase the CD using the PayPal button below. A 30-minute auditory CD relating the history of Sandersville, Georgia, from its founding until 2012.